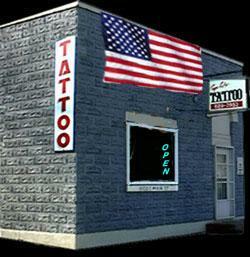 A Premier Tattooing business family owned and operated serving the greater southeast corner of the state of Minnesota for over 25 years located on state hwy 14 downtown Stockton MN 5 miles from Winona, 45 minutes from either Rochester MN or La Crosse Wisconsin or Lanesboro MN. 20 + years of cosmetic tattooing and I guarentee MY Work. Procee to our Main web site with more info and over 60 pages of our tattoo work and etc.